Most of our parents or our relatives have, at some point of time, encouraged us to dream of becoming doctors when we grow up. This obsession with medicine (or engineering) comes with the perception of these professions being high-paying and ‘secured’ and respectable. But there is a gap in the rising demand for a degree in Medicine and related fields and the number of candidates who actually get into the Top Medical Colleges in India. However, in such cases, studying abroad is an option too. But study where? This is where the question of making a well-informed choice comes. Undoubtedly, almost all the countries in the world do offer degrees in medicine. But before flying off to a foreign land to fulfill the dream of being a doctor, one must consider a few important facts. One such factor is where the students finally wish to settle once they acquire the MBBS or equivalent degree abroad. The above factor must be considered because even if students acquire their medical degree abroad, if they wish to practice medicine in India, they must register with the State Medical Council. But registration is done solely on the basis of the candidate’s performance in the Foreign Medical Graduate Examination (FMGE) which is conducted by the National Board of Examinations. As per a latest report by Factly.in, only about 16 per cent of Indian students who acquire medical degrees abroad made it through the FMGE and were deemed fit to practice medicine in India. This according to them is largely because of the alleged poor standards of medical education in a few countries. Unfortunately, students are still reported to go off to these countries, mostly because they are lured by lower fees and ‘guaranteed seat’. There are exceptions when it comes to the registration for SMCs. The perk of studying in Australia, New Zealand, Canada, the UK and the US is simply that if a student graduates or post graduates from these countries, they are NOT required to appear for the FMGE. They are eligible for direct registration with the SMCs. 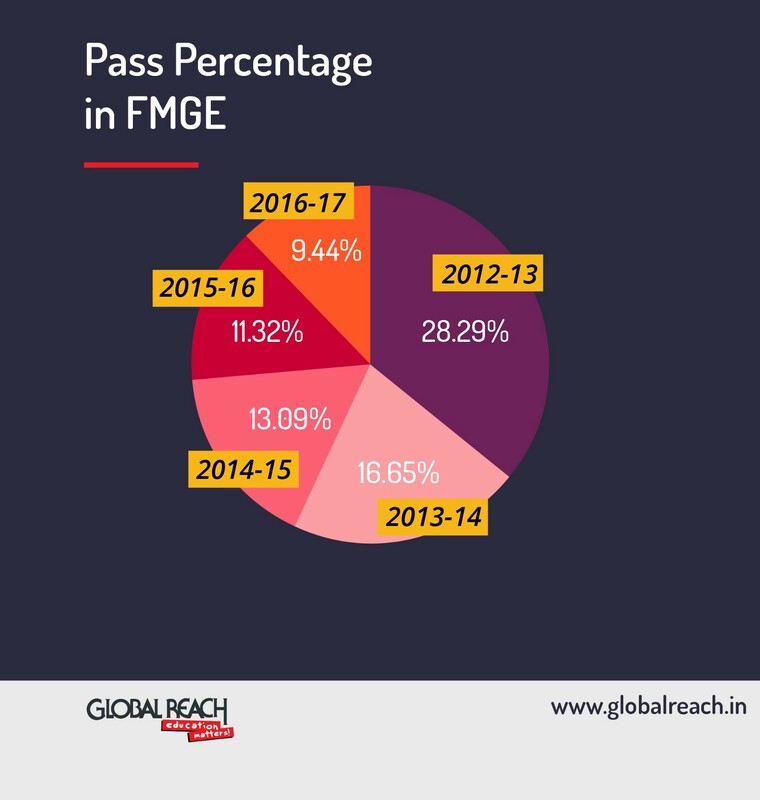 According to the data shared by Factly.in, which referred to the government data, in 2016–2017, 12, 283 students appeared for the FMGE, out of which only 9.44 per cent could pass. Sadly, this is not an isolated case and the downward trend of pass percentage has been recorded since 2012. 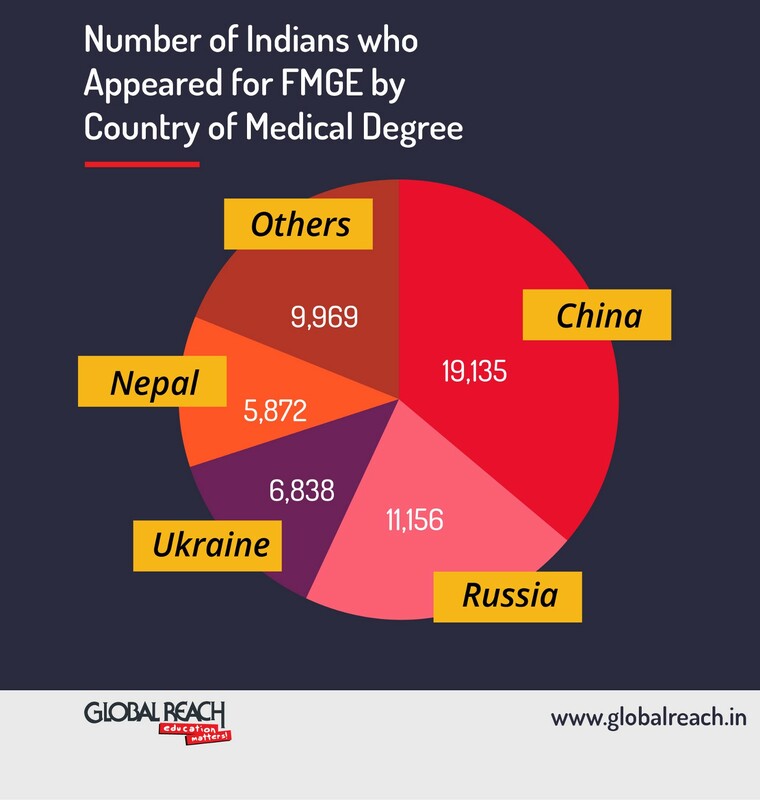 The report also highlighted how the maximum number of students who took the FMGE had acquired their medical degrees from China, followed by Russia, Ukraine, Nepal, Kyrgyzstan, Kazakhstan, Bangladesh, Phillippines among other countries. 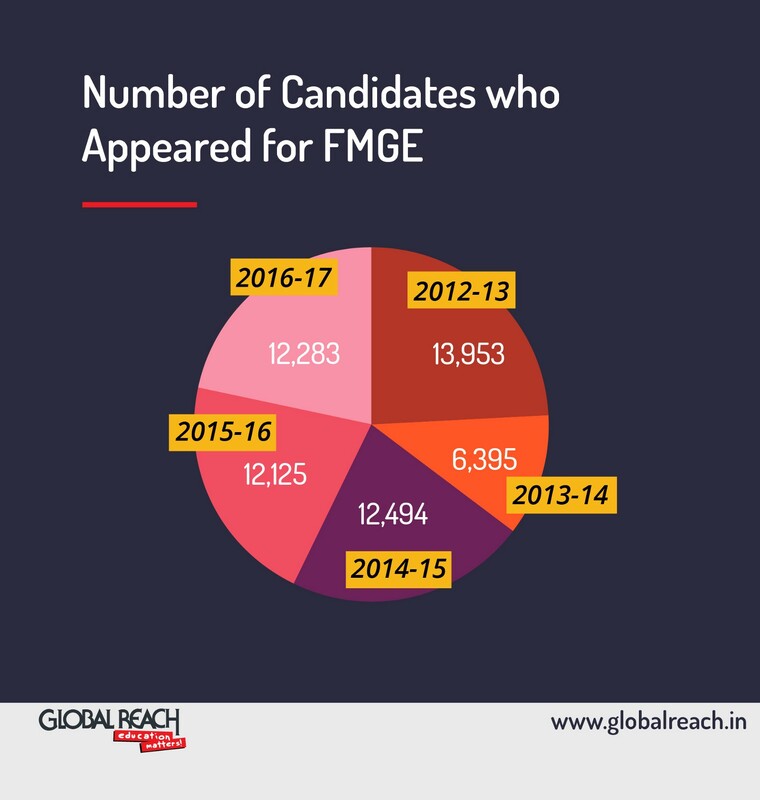 Noteworthy that, from 2012–2013 to 2016–2017, only 102 candidates holding medical degrees from UAE appeared for FMGE and 36.3 per cent of them passed the test. This is the highest among all the countries which were listed in the government data. Out of the 19, 135 medical degree holders from China who had appeared for FMGE since 2012, only 14.5 per cent made it through. As per section 13(4A) of the Indian Medical Council Act, 1956, which was later amended in 2002, it is a statutory requirement. Conducted twice a year, once in June and the next in December, it is the tool of the State Medical Council to deem degree holders eligible to practice in India. Candidates need to score at least 50 per cent marks in each papers to crack it. They are given three attempts to pass the examination.